I completed all of the blocks for my Gypsy Wife quilt months ago, and since then I have been procrastinating on putting it all together. 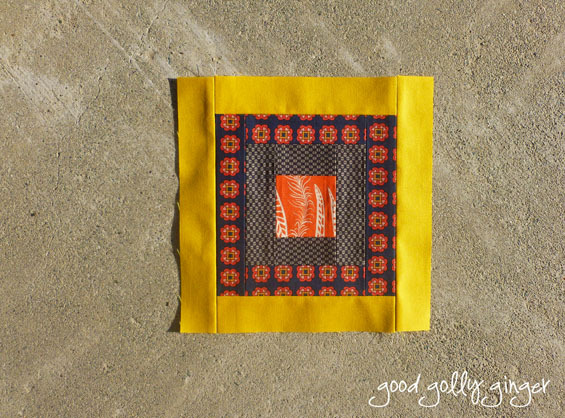 Trust me, I want to see this quilt done. It is going to be wonderful. 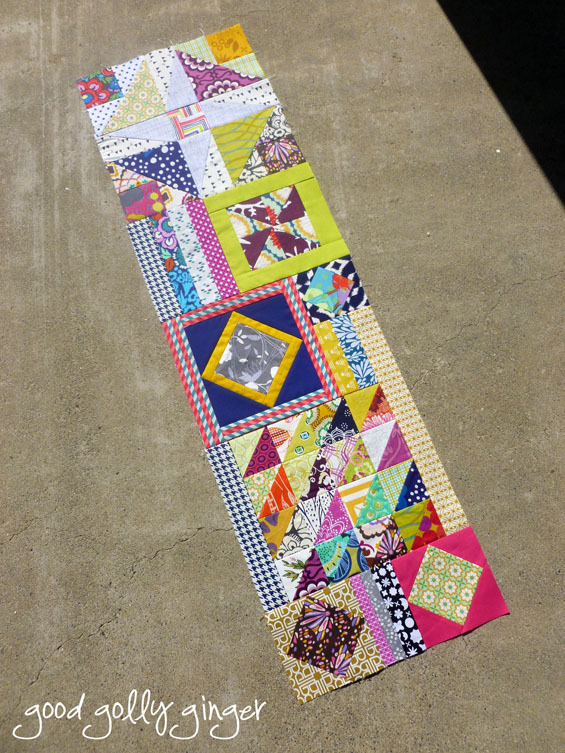 However, piecing this quilt together is no easy task, and it is going slowly. Like many things that seem so intimidating, though, this has been going together rather smoothly. Slowly, but I'm certainly not screaming yet, and I have been known to scream at fabric! Jen Kingwell's Gypsy Wife pattern is like a jewelry box to me. When opened, it's filled with gorgeous jewels. 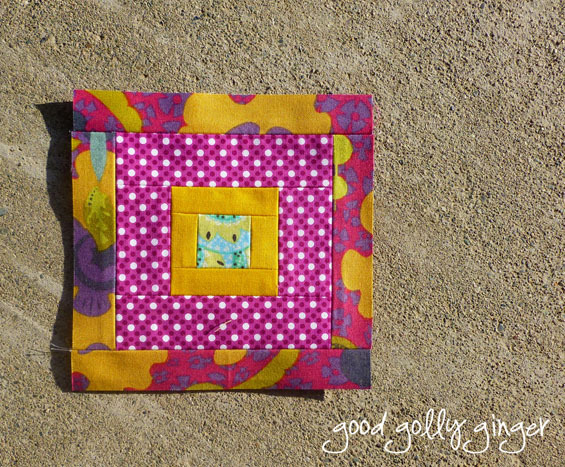 I love each of these blocks (even though I don't love some of the fabrics on their own). When all together, it is serious eye candy. I better go knock on some wood! Hopefully, the rest of the piecing will go as smoothly as it has gone so far. I stalled out on mine. My original intention was to do it by section, but I have trouble visualizing the long strips into the pattern itself. Any tips you have would be appreciated as you go! the colors in this are absolutely beautiful! I can't wait to see the finished top! We have much in common - I have been known to scream at fabric, too! In fact, in the early days of our marriage, my husband would come running to where I was sewing (and screaming) and wonder what on earth was wrong! Poor guy. 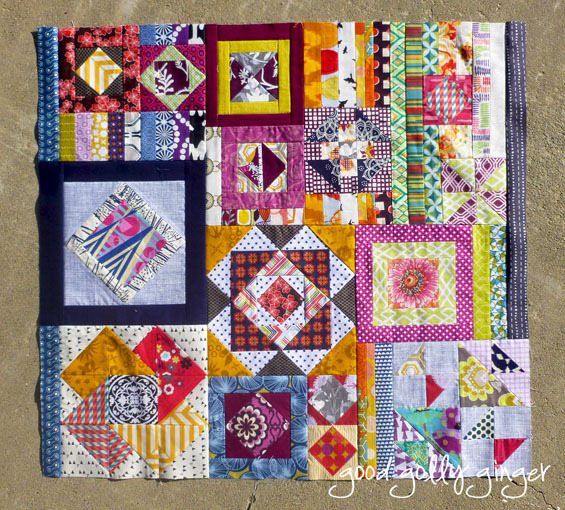 Thank goodness I'm over (mostly) those outbursts :) Your quilt is going to be an eye catcher! WOW! This is so pretty!! I love it. I've been very attracted to the Gypsy Wife quilts, so I can't wait to see this one finished. So far, it looks great! Looks great - love how vibrant and happy it looks! Oh that is gorgeous! I agree that some of the fabrics alone may not do anything for you but together with these combos, they are stunning! Great job! Katie this quilt is crazy beautiful! I loved your comment about not loving some of the fabrics in your Gypsy Wife quilt. We get so caught up in our love for fabric sometimes that we forget that we don't have to love them all. I always say there should be at least one fabric that you don't really like in your quilt. Your Gypsy Wife is beautiful!! !